Cook-Wissahickon 2014 Baseball Team–with Coach Gray at left. 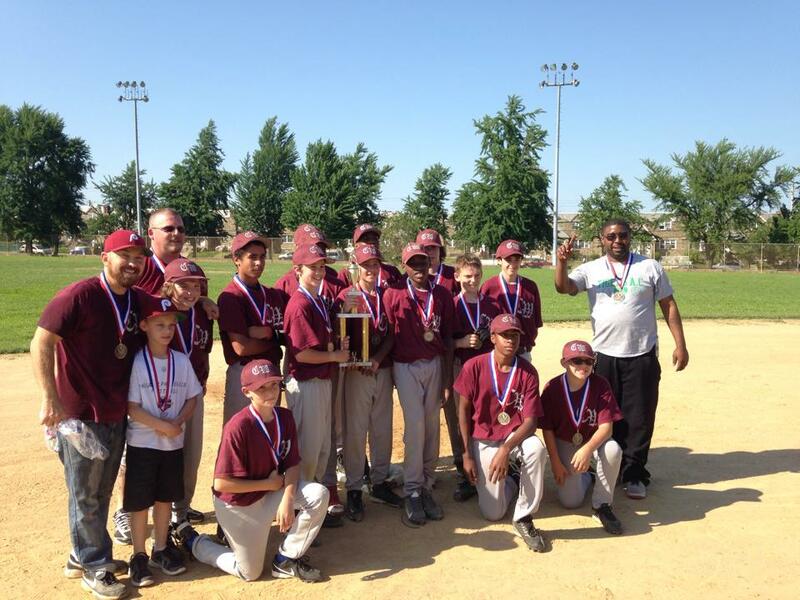 Congratulations to our boys’ baseball team, which just won the 2014 Middle School City Championship, winning 5-3 in their game against Baldi Middle School. The Cook-Wissahickon Trailblazers are coached by Sean Gray, teacher and Dean of Students at Cook-Wissahickon, who was helped out by volunteer parent coaches, Sidney Jones and Mike Orensky, who donated their time. This is the Cook-Wissahickon baseball team’s second championship in three years. They play for each other. Eighth graders Jake, Jarod, Marquise, and Dominic have shown tremendous leadership (and this was the second championship for Jake, Jarod, and Marquise). 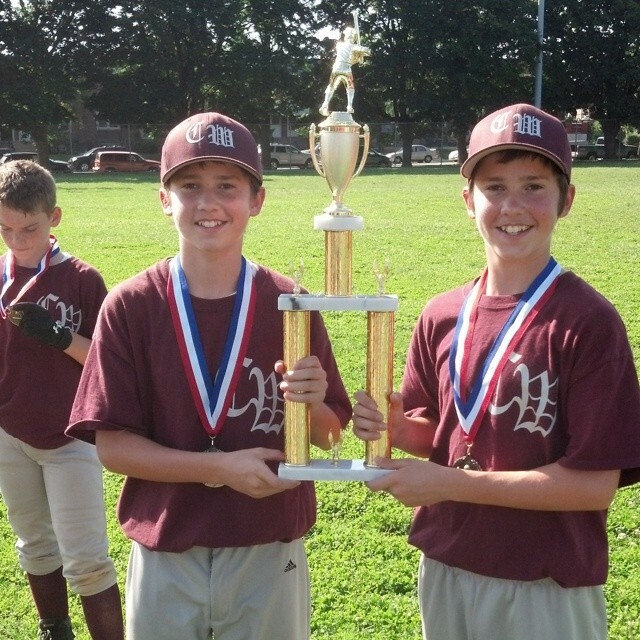 The team’s championship game was a microcosm of their performance all season long: they displayed great attitude, team play, sportsmanship, and key at-bats. We are proud of them all for how well they played and how they represented our school! As head coach, Mr. Gray’s focus has always been on having fun and learning the game with an emphasis on teamwork, hustle, respect for the game and one’s opponents, and competing at one’s own personal best level. Clearly, his approach and the students’ hard work has paid off. You guys are awesome!